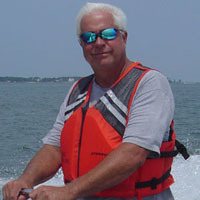 Scott has been working for VIMS since 1979 and continues to perform research on a variety of coastal problems, primarily shoreline erosion along the Chesapeake Bay and ocean shorelines of Virginia and Maryland. The use of headland breakwater systems for shoreline protection has been the focus of many research projects and is an integral part of numerous shoreline management plans developed by the Shorelines Studies Program at VIMS. 1979 M.S. Geology, East Carolina University, Greenville, NC. 1973 B.A. Geology, East Carolina University, Greenville, NC.